At this year's Lean Startup conference in San Francisco, the entrepreneur and startup mentor talks about his mission, how he deals with obstacles and why startups fail. Eric Ries is the creator of the Lean Startup methodology and was named as one of the Best Young Entrepreneurs of Tech by BusinessWeek Ries serves on the advisory board of a number of technology startups, and has worked as a consultant to a number of startups, companies, and venture capital firms. He was also an Entrepreneur-in-Residence at Harvard Business School. While an undergraduate at Yale, he co-founded Catalyst Recruiting. Although Catalyst folded with the dot-com crash, Ries continued his entrepreneurial career eventually leading efforts in agile software development and user-generated content. I think a lot about the incredible waste of energy that goes into startups from the start. These monster startups that too much money and runway and people plugging away at something that is fundamentally flawed and never really stepping outside the reality distortion field long enough to discover what customers actually want. The impact we want to have is stop wasting people's time, because time is such a precious resource. Why do a lot people fail at startups? A lot of startups fail because the founders assume they already know what is going to work. They take their business plan and treat it like a forecast about the future instead of guesses about the future. That is pretty bad. When you're stuck with a situation, how do you move forward? I tend to feel that most of the time when you are stuck you have an intuition or an emotional block about something. You realize something is not right and you don't understand what to do, but I learned in those moments to slow down. Listen to your inner voice and ask yourself what the real problem is. Everyone has this intuitive wisdom that is available to them at any time if they are quiet and focus on it, but the countervailing piece is the way you train that intuition to be better and to be more accurate over time is by being scientific and running experiments and being rigorous in your everyday thinking. That way the dataset that you are training your neural network on is trained on the truth. Otherwise a lot of bias can sneak into the system, and make you miss what you really need to understand. Steve Blank's "Get Out of the Building" is a pretty good one. I still think it is right up there. If you could give your younger self advice, what kind of advice would you give yourself? My younger self was not big on taking advice. My first startup was a total failure. I wish I could go back in time and tell my younger self how everything was messed up in twenty different ways. My younger self, however, would have rejected that advice. There is something about the arrogance of youth that has its plus and minuses. What makes you more effective for getting things done? I don't have a productivity system, and am not task-oriented, but what I learned to embrace is to be focused on the big picture, because I can't keep track of the small details, so I have to let those go. What happens is because of that every once in a while a big insight is available to me that wouldn't have been if I had been a little bit more organized in a more linear way. I think about the big mainstream of business and all the problems we have. There is so much more to do. Despite the Lean Startup having its impact in the Valley, we still have a long way to go before I declare success. What are you most proud? I have a twenty-month old son. That's a clear and easy answer. 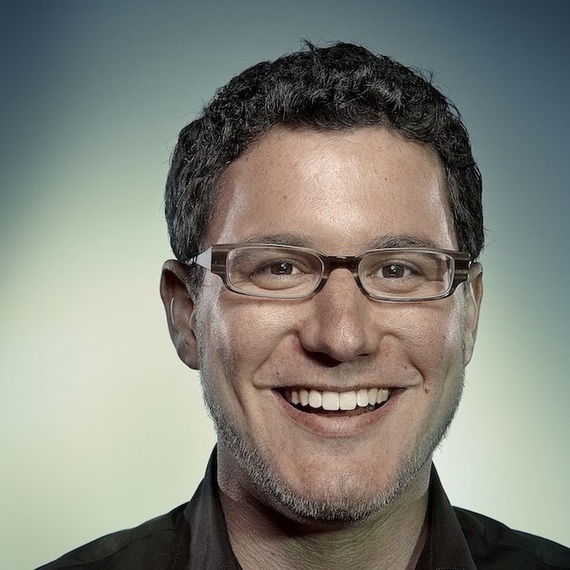 You can follow Eric Ries on Twitter and learn more about the Lean Startup Methodology on this website. If you enjoyed this interview, you can follow me on Twitter, Facebook or join my newsletter.